Published Feb 14, 2014 by Cisco Press. Part of the LiveLessons series. 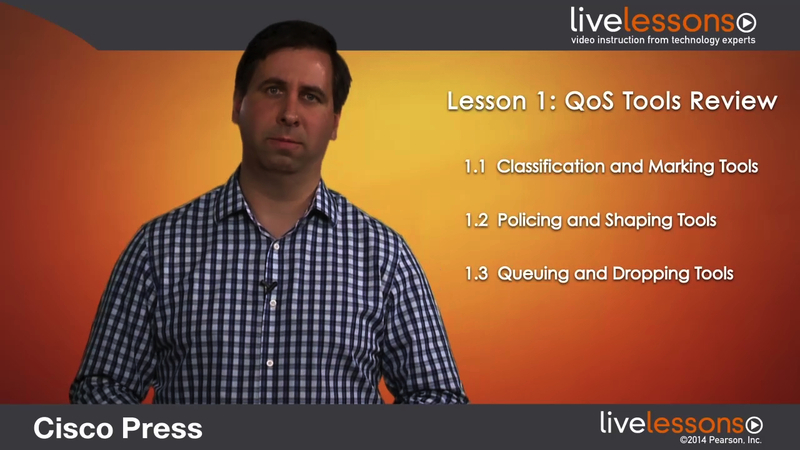 This lesson introduces and overviews the most common QoS tools and highlights how these interrelate. We will also discuss the Cisco’s Modular QoS Command Line Interface (MQC), which is the common syntax structure for configuring QoS across most Cisco platforms.